We are pleased to announce that after many years of absence our Magic Money referral program is back! Earn up to $1000 in gift vouchers of your choice! Let us reward you for helping Magic Studios grow! Do you have family members, friends, a partner, customers, or clients that could use our recording studio or video production services? Refer them to Magic Studios and we will give you $100 voucher for every new client that uses our services. * We have lots of different vouchers to choose from. 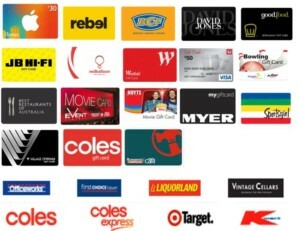 If you cant see your preferred vouchers simply call 1300 100 333 and we will do our best get it. We are not a “hard sell” organisation so it is always preferred that you give them the heads up that we will be touching base first. To cash in simply fill in the form below and we will touch base with your referral. Please feel free to contact us on 1300 100 333 if you have any questions. *referral payment is for minimum booking of one hour studio time. Not valid for existing Magic Studios customers.